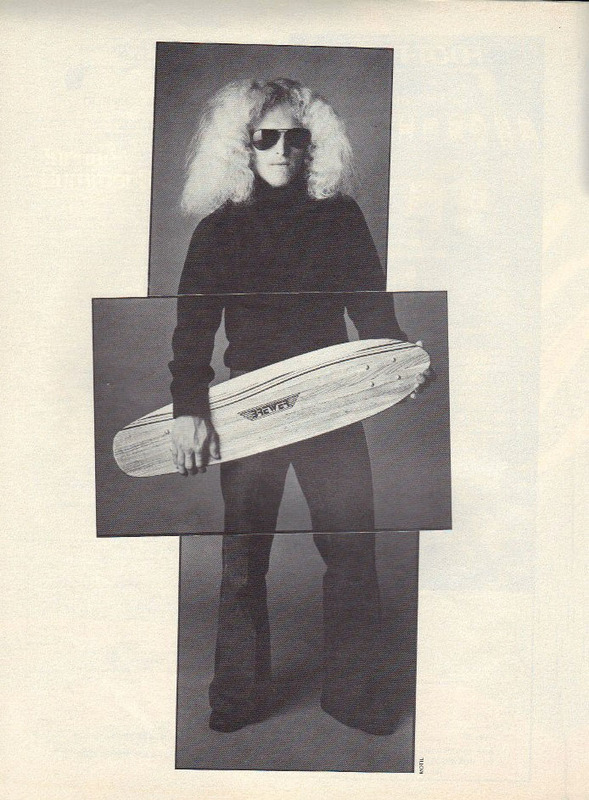 What If Skateboarding Didn't Have The Ollie? 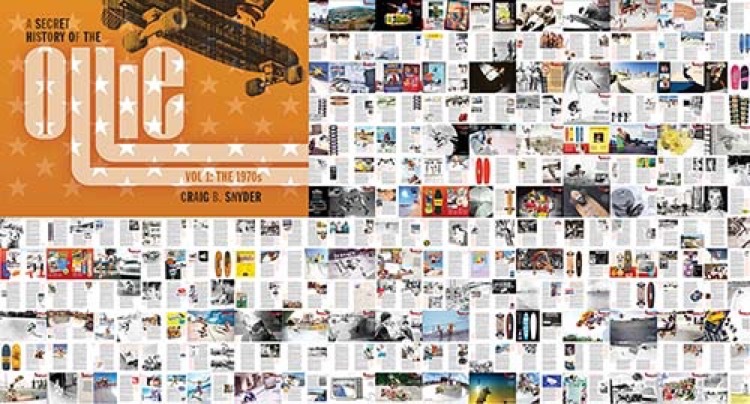 This is a two-minute piece that WBUR in Boston put together for Craig Snyder's interview with National Public Radio / NPR about the book. 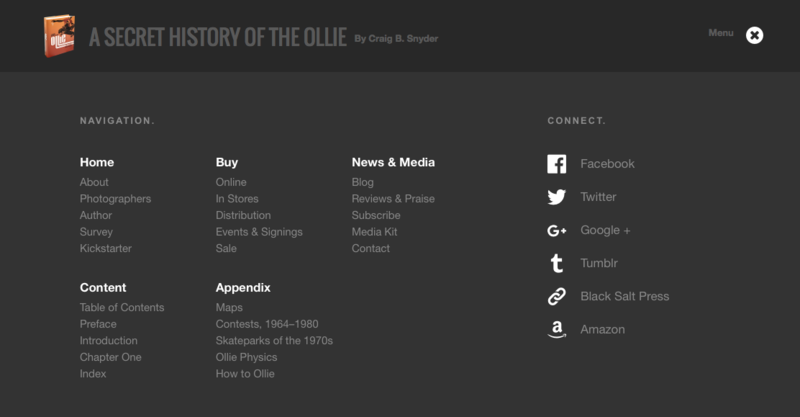 Beginning in September, the redesign of the Ollie Book will get underway. We are changing the old pop-up menu interface (pictured) to make it easier and quicker to get to other pages on the site, plus giving the site a whole new look.